Graduating and moving into the “real” world can be an exciting time, but it can also be filled with a great deal of uncertainty. All the “what ifs” run through your head: What if my co-workers are catty? What if my boss is tough? What if the clients complain about me? Whether you’re a seasoned professional or new to the industry, there’s nothing easy about being the new kid on the block. Before you are flooded with anxiety, follow these helpful tips to ensure a smooth first day. You are going to experience a learning curve. No matter how much experience you have, you will need to learn how your new salon, spa, or shop does things. This is especially stressful if you’re a new industry professional. Just relax… it’s going to take some time! As the newbie, your objective is to watch and observe. 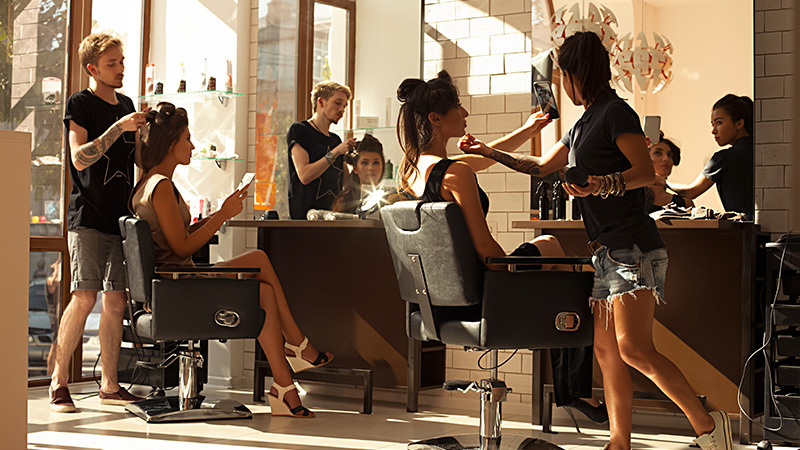 It’s important to learn how things are done at your new salon, spa, or shop. Regardless of how you did things while you were in school or while working at another place, each business has its own unique culture. Your overall objective is to discover how you fit into the culture and learn what you can contribute. Don’t inflate yourself or make yourself seem overly important. You are the new “kid” no matter how many years of work experience you have- you need to put in your time! Your new co-workers will be watching you; make sure you show them what a great addition to the team you are and be open to learning from them. Whether you are working as an assistant to a senior staff member or working behind your own chair, the best advice is to be a sponge – soak it all in! Ask how things are done, how they personally like things executed, etc. When you’re not busy, quietly observe how the senior staff interacts with their guests and move through their services. You might pick up some new tricks or techniques. If you’re not busy, then stay busy! Offer to assist co-workers with even the simplest of duties. Offer to sweep, get salon customers beverages, assist with laundry, or other light housekeeping. Your first year in the beauty and wellness industry is where you will form habits that will either lead you to more success or habits that will sabotage your efforts to be successful. Below are some habits to avoid, these habits do more harm than good and will hold you back from realizing your dreams and achieving success. The consultation is the foundation of your communication with your clients. It's so easy to get into a habit of "knowing" what your clients want but make no mistake, not completing a full consultation is a bad habit that could lose you clients. Make a pledge to give each client your complete and total attention, whether it’s their first time or their hundredth time in your chair. When you leave a mess, whether it's hair on the floor, color bowls laying around, or brushes not cleaned out, clients AND coworkers notice. Make it a point to be more aware of your surroundings and pick things up. Everyone is guilty of this because the salon/spa/shop is a great environment to open up and talk about what's on your mind. The space is usually small and there is probably another customer and co-worker a few feet away. Keep it professional and if there's something you just can't hold back, wait for the appropriate time to talk about. You know how much this messes up your day. Try waking up 15 minutes earlier this year, packing your lunch at night, and/or laying out your clothes the night before, it can make a world of difference. You are amazing and you have all of these tools right at your fingertips to show the world (and potential clients). So why do you keep making excuses not to promote yourself and brand your work? Start small: schedule and make a system for taking pictures of your work and sharing them on social media. This is probably the worst bad habit you can get into because it will stifle your career. You will never know enough and there are always ways to get education for free or at a lower cost you just have to ask. Now that you know what NOT to do, let’s discuss the steps that will set you up for success. The first year in your new job is usually an emotional roller coaster ride, full of excitement and uncertainty as you learn to navigate the world of a beauty and wellness professional. It may seem at times you are unlearning all you were taught in school and that’s okay, school gave you the fundamentals and laid the foundation for your knowledge to grow in both your technical and soft skills. As a beauty and wellness professional it is up to you to build your clientele and grow your business, even if the salon, spa or shop you work at book you with walk-ins or no request clients. Take five minutes to quietly review your “day sheet.” Review all appointments and look for possibilities such as add-on services, take home care product recommendations, or future appointment opportunities. If you find yourself doubled booked, this will allow you to get your game plan together. And don’t forget about your downtime; what productive things can you do while your client is processing or between scheduled appointments? Taking the time to map out your day can ensure a smooth time for both you and your clients. The upside of a smooth day is it can also increase your daily totals. This is a big one. Mentors help in numerous ways; they can be a sounding board, help you make decisions and offer invaluable insights about the industry. They can also help you reach your goals and realize your dreams. Meet with them on a weekly or monthly basis. These sessions will help you grow and give you a chance to discuss your ideas and struggles. By spending time with mentors, we get a better (and different) perspective on life and business. It gets us out of our heads and into the minds of successful people. Think of this as an investment in your future. As little as the cost of a coffee or lunch, you can take these mentors out and get a wealth of info that can set the path for your future. If you are wondering where to find mentors as a new professional, it is a good idea to join a Beauty and Wellness Professional Association. These professional associations can be a great resource to help you stay current on industry updates, industry knowledge, learning best practices from other professionals, and an opportunity to connect and network with other industry professionals. Do a little online research and find the association that best fits your professional needs and check out our guide to mentorship. When we take time to volunteer and give back to others it takes us out of our daily routines and gives us a chance to pay it forward. In return, we are meeting new people and networking. You can do things like volunteer at a local Boys & Girls Club, a shelter, or even a senior center. At any of these places, you can give haircuts, facials, or shaves. Getting connected not only builds your professional network, but it also gives you a chance to work on the communication and people skills that are crucial to succeeding as a beauty and wellness professional. Reach out to your school and offer to go back once a year to do a demo and share your story. Think about the person in the community who came in and shared when you were in school, if there was no one, then think how this could have impacted you. 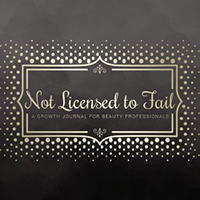 You would have made a connection and have a better idea what it really takes to become a successful beauty and wellness professional. 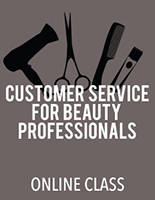 Build relationships with other hairstylists, barbers and, estheticians. When we collaborate by sharing ideas and concepts, we all grow personally and professionally. Not sure where to start? Start a monthly collaboration meeting where you can share best practices, learn new techniques, and support one another. Host them at different salons, spas, or shops every month so you get to see others’ workspaces. No one gets paid and no one has to pay to participate! You can build a great community of sharing and support that will be part of your legacy for years to come. You need a well-crafted website. Website design can vary in pricing, but there are some affordable options out there like GoDaddy or Square. Find websites that appeal to you and scroll to the bottom of the site to find out who the web designer is. Contact them. Offer to do a trade for services in exchange for your website design. The salon, spa or shop you are working at, may already have a website, if that is the case, then this may be a nice a have and not a need to have. At some point, though, you will most likely want your own website, think of it as a digital brochure, showcasing you and your work. Everyone knows you need a business Facebook page and Instagram account, but don’t forget about Pinterest and LinkedIn. If you decide to build a website, you will link your website to your social accounts.You will need to post often and consistently. Take pictures of every client before and after, ask your client if you can post their transformation on your social channels. There are many groups on social media sites dedicated to beauty and wellness professionals. Do your research and join the groups that most align with your values. You can also find groups who have the potential to be your clients. Request to join the local mom’s Facebook group, the running club, the cooking club, etc. Cultivate your clients and market to them. If you decide you want to invest some advertising dollars into social media, Facebook ads can target your ideal client demographic with an affordable budget and are super easy to set up. Block out at least 2-4 dedicated hours a week to do administrative tasks like cleaning your station, restocking your supplies, organizing client information, and reviewing your book for the next 2 weeks. This is all part of setting yourself up to succeed. You most likely have financial goals you need to meet each month in order to fulfill your financial obligations. If you are working on commission, it is important to review your numbers every week and measure them against your monthly goal. By looking at the admin part of your job every week, it gives you the opportunity to ramp up your marketing efforts and increases your odds for success. Do not think you can do a little bit at the end of each day or that you’ll get caught up on the weekend. By making definite time for it in your work week or a few hours on your day off, you’ll make it a priority. Use your downtime to do additional marketing, like scheduling a year’s worth of promotions in advance. For more marketing help, check our this guide. Think outside the box for ways to connect with your potential clients. There are low-cost or no-cost marketing options there. Contact businesses where women work. Banks, credit unions, dental offices, for example. Ask the office manager if you can have the last 15 minutes of a lunch hour or fifteen minutes at the end of the day. A quick presentation about your services, with a discount coupon for the first visit, can give you some face time with possible clients and build the trust your clients need to begin regular skin care treatments. Building a steady client base in your first year is crucial to succeeding long-term. It’s a MUST. If your revenue from one client visit is $100, and you want to see the client once a month, you can count on $1,200 in revenue from that client annually. Book them before they leave. If you wait for them to call you, it's easy for time to slip by and suddenly, instead of every 4 weeks, they are coming in every 5 or 6 weeks. Your annual revenue from that client slips when they don’t reschedule as they leave from their appointment. If you’re thinking, not all clients like to reschedule before they leave, you’re right – the next best thing to is mark your calendar and reach out via text or email during your admin day. You can say something like; Hi XXXX, just a friendly reminder, it’s been 4 weeks since your last haircut, facial, etc.…I am available this Saturday at 12:00 or 3:00, let me know if these times work for you? Chances are she or he will thank you for the reminder and book on the spot. Whether you're planning your first trip to a trade show or taking an online class about raising your prices, keep your skills sharp and your mind busy. An end to learning is an end to growth- you have too much potential to risk that. Recognize the highlights and give yourself a pat on the back when you’ve reached a milestone. Set your goal and then cartwheel when you reach it! A fully booked day, three fully booked days, your first $500 day in revenue, a five-star review, etc. It doesn’t have to be a $100 dinner out at your favorite restaurant but be mindful of your success. A nice glass of wine and a toast with your best friend, a good cup of your favorite coffee or tea, a bubble bath in some candlelight while you bask in your accomplishments; anything that will keep you motivated. For some of you, your first job could your only job if it’s a place you really love and can grow, while others will have many jobs as they navigate their professional choices. Whichever it is for you, begin your first day at your first job with the knowledge that you got this, and the world is waiting for the unique gifts you have to offer.